AmazonSmile – Did you know that VAIL can receive 0.5% of the price of eligible AmazonSmile purchases? Use our link when you log in to shop and help support people with disabilities in our community. 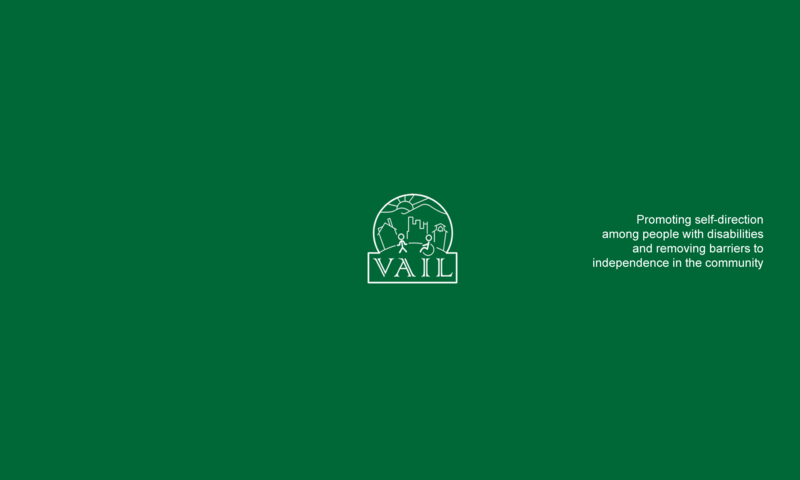 iGive.com – Register with iGive and your online purchases from over 500 stores will support VAIL. Caregivers Community Network – CCN offers unique services for all frail elders and their family caregivers. SpiritHorse Shenandoah Valley – SpiritHorse individuals with special needs in reaching their full potential through interaction with horses. Bruce Dellinger – mouth drawn artwork by the Valley’s very own! Locate a DARS office near you. VCU’s Center on Transition Innovations – Virginia Commonwealth University offers rich information to support your work in helping youth with disabilities achieve their full potential as they transition into adulthood. Or find them on Facebook. Directory for Consumer-Directed Personal Assistants – Register if you would like to provide services to individuals or search for local individuals who are looking for work. Independent Living Research Utilization (ILRU) – Locate a CIL near you. Centers for Disease Control (CDC) — CDC info on disability, inclusion, healthy living, emergency preparedness, and more. Cerebral Palsy Group — The Cerebral Palsy Group is dedicated to providing information, resources, and support to those who have been affected by CP. Challenged Athletes Foundation — CAF provides opportunities and support to people with physical disabilities so they can pursue active lifestyles through physical fitness and competitive athletics. CAF believes that involvement in sports at any level increases self-esteem, encourages independence and enhances quality of life. Wheeling Sportsmen — Sportsmen NWTF is dedicated to providing people with disabilities, including disabled hunters, disabled anglers and other outdoor enthusiasts, the opportunity to participate in outdoor activities.